*.script – contains information about a source and destination for imported data. *.destination – this file contains information about the destination of the union. In majority of cases this will be the database connection string. Please note that each data source must have the same schema. schema – means schema of a table or other source of data. It describes what columns (names and types) must be created for the data to be imported from that source. Simple example showing usage of the Union Script. 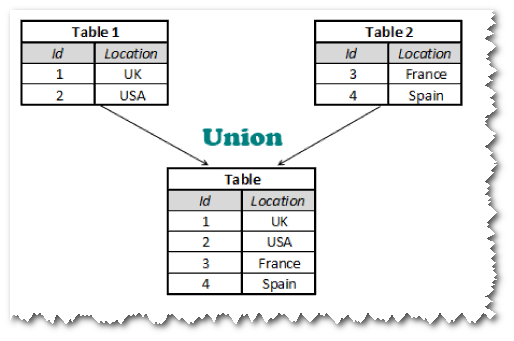 Let’s suppose that Table1 is stored as ESRI Shape file and Table2 is saved in SQL Server database. Now modified script looks like this.